The short answer to the question of what causes mold is moisture. Mold cannot grow without moisture, although some types of mold need more moisture than others. Most types of mold also grow best in warm environments, although some types grow fairly well in cool places, as well. Microscopic mold spores are all around us, both indoors and out. Mold spores can remain viable for a very long time in cool dry places; then, when water is introduced, mold begins to grow. 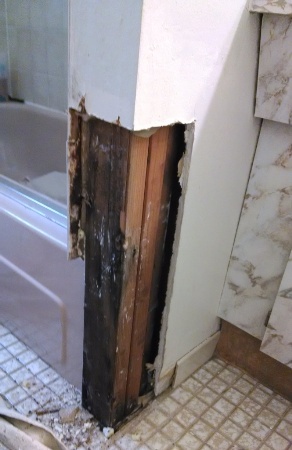 Mold typically grows quickly and spreads easily. Mold grows as mold spores reproduce and it spreads as the tiny, lightweight mold spores float on the air or are carried from place to place by people or animals. Causes of household mold usually involve water or moisture in areas of the home that should be dry. For instance, a small leak under the kitchen sink can provide the necessary moisture for mold to begin to grow. Mold can then spread from beneath the sink to other areas of the kitchen, and from there, to other areas of the home. 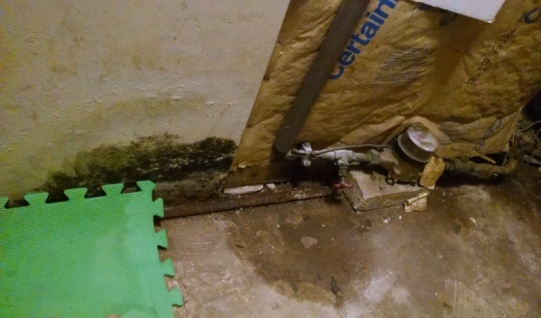 To prevent excessive moisture that can lead to the development of mold, the Federal Emergency Management Agency (FEMA) recommends taking these steps. Install exhaust fans in bathrooms and kitchens and use them when showering and cooking. Don’t use carpet in bathrooms or kitchens. If you have throw rugs in your bathroom, hang them up to dry whenever they get damp. Clean up water spills promptly. If you notice stains of walls or ceilings, or other signs of water leaks, address the issue promptly. Check periodically for leaks under sinks, behind toilets, and around appliances like washing machines and dish washers. Address any leaks promptly. Make sure rain gutters drain water away from the house. Land around the house should also slope away from the house so that water drains away from the building. Use large sheets of plastic to cover dirt in crawlspaces to prevent moisture from the ground from entering your home. Use mold-resistant paint in areas with high humidity, such as bathrooms and kitchens. Use other mold-resistant, water-resistant materials, like stainless steel fixtures, waterproof wallboard, tile, stone and deep-sealed concrete, in areas with high humidity. 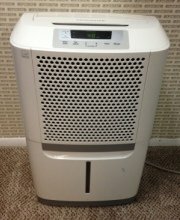 Install dehumidifiers in areas with high humidity. Use air conditioners or fans in hot weather to keep the humidity down. Don’t use fans in areas where mold is growing, though, because that can spread mold spores and make the problem worse. Don’t run your air conditioner if there is mold in your air conditioning ducts, either, because that will spread mold to other areas of the home. Here is more on preventing mold in the home. If you have mold in your home, it’s important not only to remove the mold but to determine the cause of the mold and fix that problem. Otherwise, mold can quickly return after you clean it up. You’ll need to inspect your home thoroughly in order to find all sources of mold. Don’t assume there is only one source of excess moisture. Check all possible sources, including under sinks, behind toilets, around tops, under and behind dish washers and washing machines, around windows, in basements and crawlspaces, and in attics. If you’re not sure what led to the growth of mold in your home, a mold remediation professional can assist you in figuring it out and advise you about how to correct the problem. A mold remediation (removal) professional can help you determine what causes mold in your home and advise you about how to prevent mold in the future as well as explain the necessary mold remediation procedures to you. Often, they will provide a free in-home consultation and inspection for mold, so you can get the benefit of some expert advice at no cost to you. To find experienced mold remediation professionals offering free consultations and inspections in your area, just follow the link. Mold Under Vinyl Flooring - Causes of mold under vinyl floors, finding hidden mold, removal information. 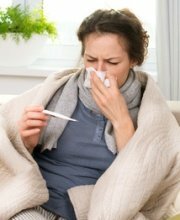 Mold in Bedrooms - Since people spend more time in their bedroom than any other room, mold in the bedroom can be extremely hazardous. 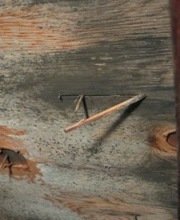 Warning signs, finding mold, removal.